Built 1812. 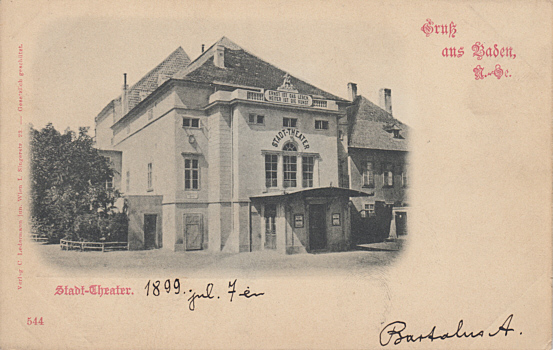 Demolished 1908 in favour of the new "Jubiläums-Stadttheater". See Baden bei Wien: Sommerarena for another image of this theatre.